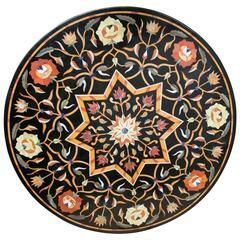 Pietra Dura Empire table. 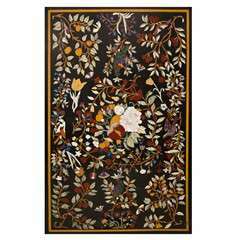 Malachite, amethyst, lapis lazuli, citrine and sienna marble inlaid in white marble. Wood is Tineo. 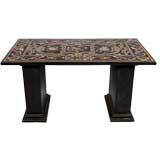 Italian inlaid table with hand-carved wood base. 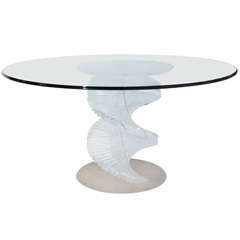 A sculptural spiraling Lucite table with a glass top. Base is frosted Lucite. Lucite spiral is clear. 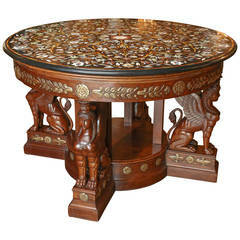 Ship helm centre table, with glass top. Dake's engine co.
Second half of 19th century. Victorian figured walnut sutherland table. 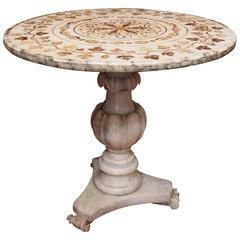 Italian pietra dura centre table with unusual coloration of white, cream and light browns.